David Fleshman was born and raised in Baton Rouge, Louisiana. After attending The Dunham School, he received his undergraduate degree from Louisiana State University, where he was a member of the LSU Basketball Team. While attending law school at the LSU Paul M. Hebert Law Center, David clerked for the Governor's Executive Counsel during the 2010 Legislative Session and the Governor's Office of Homeland Security after the Deepwater Horizon oil spill. 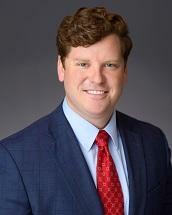 After receiving his Juris Doctorate from LSU Law, David joined Roedel Parsons in 2011. The primary focus of David's practice has been a blend of general litigation, business transactions, construction law, corporate law, estate planning and successions, and contract law. In addition to representing individuals, local start-up businesses, and national companies, David also represents several Louisiana governmental entities, including the Louisiana Stadium & Exposition District, the Sewerage and Water Board of New Orleans, the Louisiana International Gulf Transfer Terminal, and the New Orleans Aviation Board. Through this representation, he has extensive experience in matters involving public bid and procurement law, public records law, construction contracts, and public-private partnerships for the construction of large public projects in Louisiana, such as the new North Terminal at the Louis Armstrong New Orleans International Airport and the Louisiana International Gulf Transport Terminal Project. David is also very active in the Baton Rouge community, where he currently serves on the Board of Directors for the Youth Oasis Children's Shelter, The Dunham School, the LSU Lettermen Club, and Karing is Doing Something, Inc. He also serves on The Dunham School's Alumni Committee and the Baton Rouge Bar Association's Bench Bar Auction Committee. David is married to Loren Shanklin, who also practices law in Baton Rouge, and they have one daughter, Virginia.